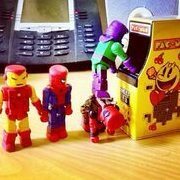 I'd probably only be collecting the characters I wanted to collect. Remember; the 3-inch figures were sold as singles. There was none of this 2-pack, variant chase figure nonsense. I'm thinking my Marvel collection would be much smaller. I might be buying more Playmobil sets though. They seem to work well with the 3-inch 'mates. Can we get a recipe list (if you remember what parts you used)? 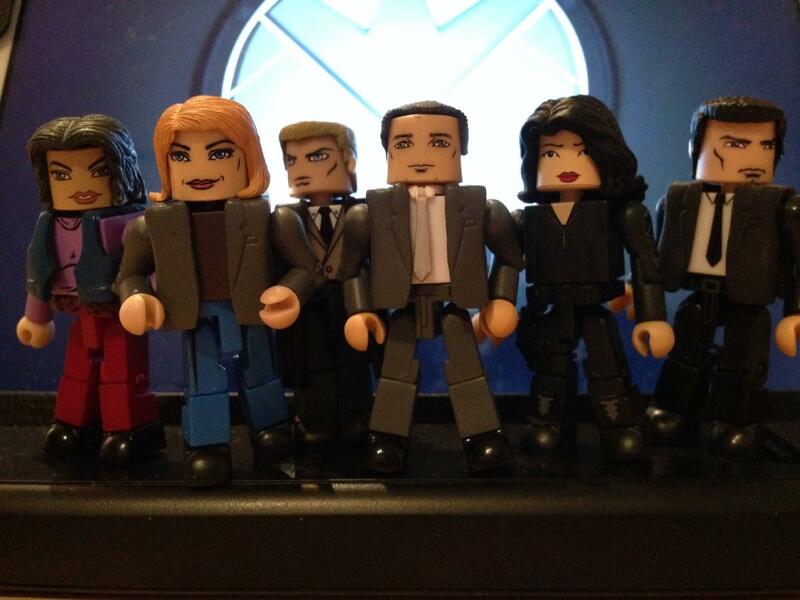 Now that we've had 7-8 episodes, do people still want minimates of these Agents of Shield? I've lost almost all interest in the show itself. I like seeing the customs, and they're a good group to QC, but man I'd hate for these to take up a slot on the manufacturing timetable. i've been collecting/ and QC guys in suits/shield agents for a bit now. Simmons has IM2 Pepper's face, and it's PERFECT. Since I asked, I've been coming up with my own, but really the one part I can't identify from yours that I think is as perfect as Pepper-Simmons, is Ward's face. Whose head is that? Ward's head looks like it comes from the wave 43 SHIELD Agent to me. I had about twenty mates and my box of spare bits all over my couch at one point haha. I love both ideas, but would swap Sitwell for Victoria Hand from "The Hub." Looks like the TRU wave Masked Vigilante Spiderman from the ASM movie's jacket. Nicely done QC's! Thanks! I was really happy with how they all turned out. I've got a second Lego Hulk's Helicarrier Breakout set coming, and I'm going to try to combine the two with the Quinjet (those wing logos are gonna work nicely as floor or wall tiles), and see if I can't make some kind of Helicarrier bridge for all my S.H.I.E.L.D Minimates (since I've also got quite a collection of the troop builders, lol). Thanks for your inspiration! You'll notice I took a few notes from yours. 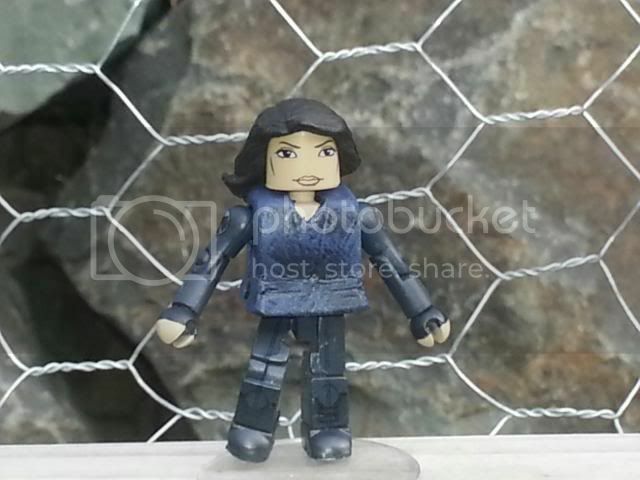 So technically we've got a few minimates of agents of shield already with Colson, Maria Hill, Fury, Sif, and now Sitwell with the WS wave. Any chance we'll see any of the regular characters? 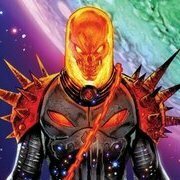 I like the way Deathlok is trending visually. He's getting more like his comic appearance with every episode. Maybe a couple 4-packs for a Disney Store exclusive?